Mets fans got a brief respite from seeing the squad hamstrung by its penny-pinching owners when the team signed Yoenis Cespedes to a three-year, $75 million deal last winter. There was a catch, though, in that the deal came with an opt-out clause after the first season. 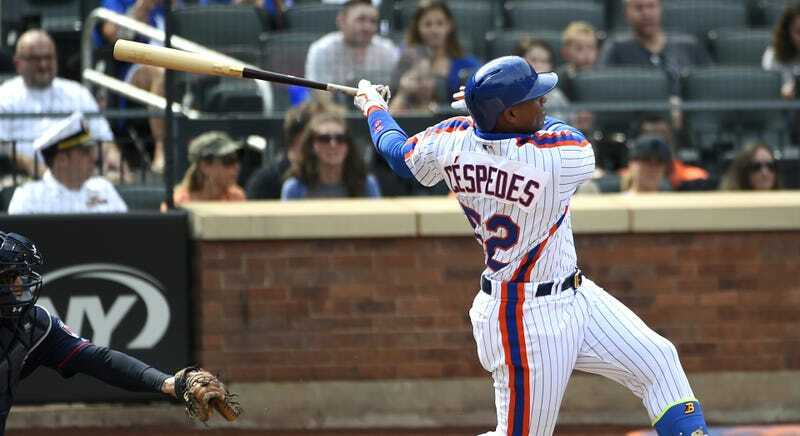 Now Jon Heyman is reporting that Cespedes plans to opt out in the coming days, and ESPN reports that the Mets do not expect to be able to re-sign him. This was likely Cespedes’s plan all along. After a having a career year in 2015, he hit the free-agent market looking for a long-term deal that would pay him around $22 million annually. He reportedly got a five-year contract offer from the Nationals, but decided to take the Mets’ deal, which paid him $27.5 million this year, and wait one more season to hit free agency. Cespedes played 132 games this year and hit .280 with 31 homers, which should put him a good position to secure the kind of big contract he was seeking last winter. Back in August, Cespedes told reporters that he wanted to spend the rest of his career in New York, and so it’s entirely possible that the Mets will be able to keep him if they are willing to meet his contract demands. If the Mets can’t or won’t do that, they have a fall-back plan of sorts in Jay Bruce, who was acquired via trade at the deadline and can be kept via his $13 million team option. I can’t wait until next July, when Bruce is hitting .201 and Cespedes and Daniel Murphy are helping the Nationals run away with the division. Mike Francesa might self-combust on air.